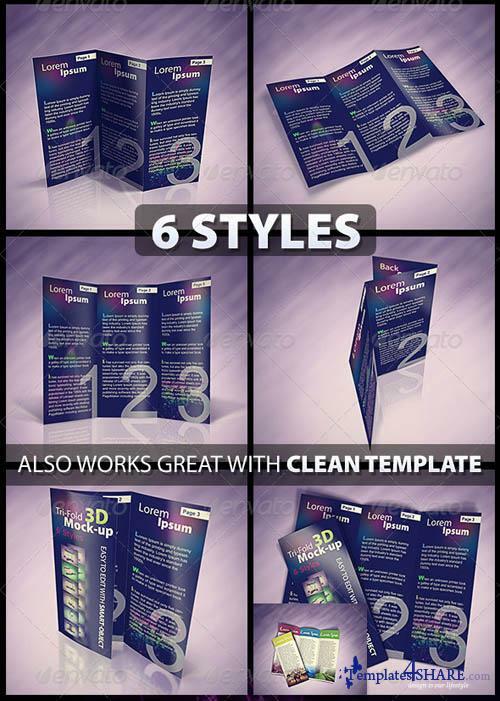 Perfect to present your Tri-Fold Brochure in 6 different styles. 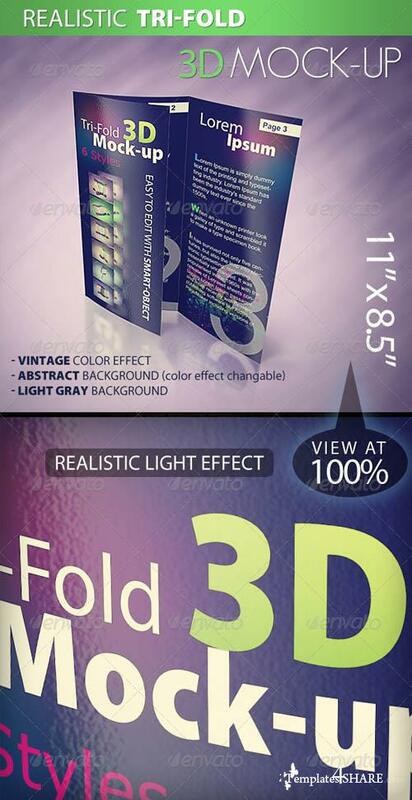 Easy to turn your graphics into 3d in few click with Smart-object. 1 PSD layered with 6 styles. 1 PSD blank with added guide line.